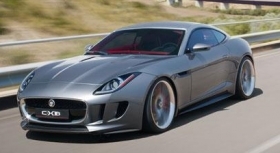 The Jaguar F-Type will be based on the C-X16 concept, pictured. Jaguar will launch a two-seat convertible next year called F-Type, the company announced at the New York auto show. Announcing the F-Type, Jaguar Global Brand Director Adrian Hallmark said the car represented the brand's desire to "produce a world-leader in a market segment that we have been absent from for too long." The F-Type will join the XF sports sedan, XJ luxury sedan and XK coupe/convertible in Jaguar showrooms and will slot in below the two-seat XK range. The car is based on the C-X16 concept that Jaguar introduced at the 2011 Frankfurt auto show. Jaguar said on Wednesday that reaction to the C-X16 concept had been so positive that it accelerated development of the car. A production version will be shown later this year, mostly likely at the Paris auto show in September. The United States, the world's biggest sports car market, will be a prime target for sales, the company said. A range of gasoline engines will be offered, including a new powerplant family, Jaguar said. 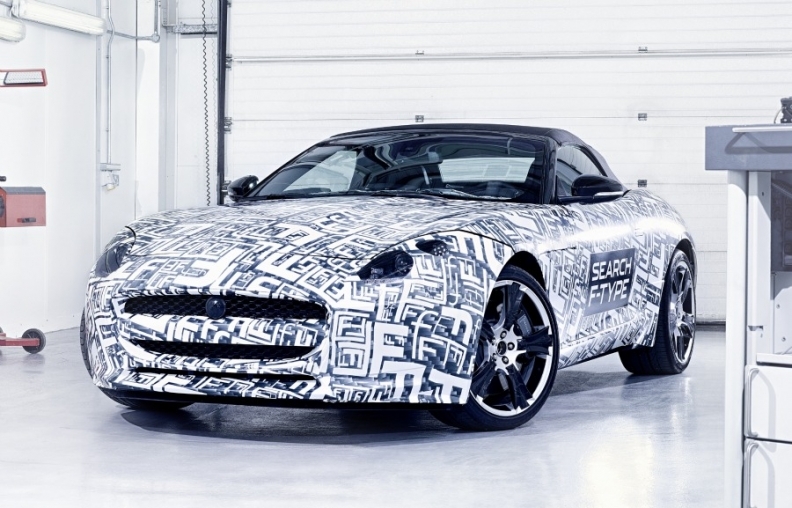 Like the larger XK, the F-Type will feature all-aluminum construction. Jaguar said it has started final on-road testing of the car near its Castle Bromwich plant in the UK, where the car will be built. Jaguar showed pictures of the new convertible F-Type wearing its testing disguise. No pricing has been revealed, but the F-Type is expected to compete with high-end versions of the Porsche Boxster. The Boxster S model costs 59,120 euros in Germany ($77,677). The F-Type name will inevitably draw comparisons with the firm's most famous car, the E-type, built from 1961 to 1975 in coupe and convertible form. A coupe version of the F-Type will follow the convertible a year later, according to company sources. A manual gearbox will also be made available alongside the automatic. In the first two months, Jaguar sales rose in Europe by 10.5 percent to 2,649 cars. Last year the Tata-owned firm sold 22,954 cars in Europe, a fall of 17 percent.